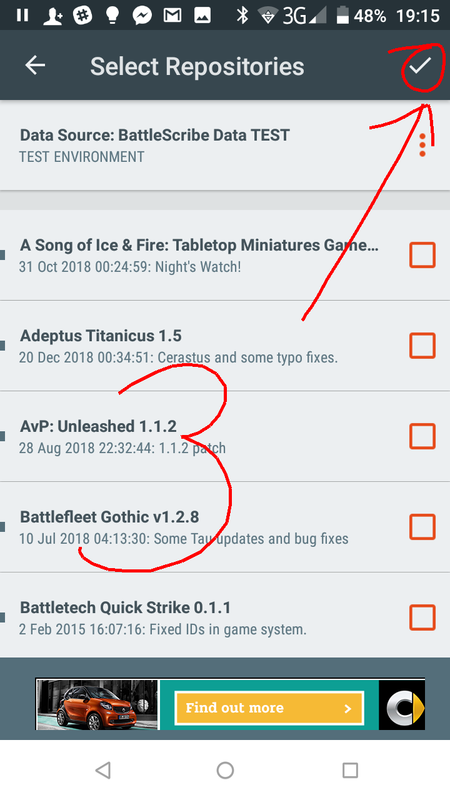 Many of you may be familiar with Battlescribe. 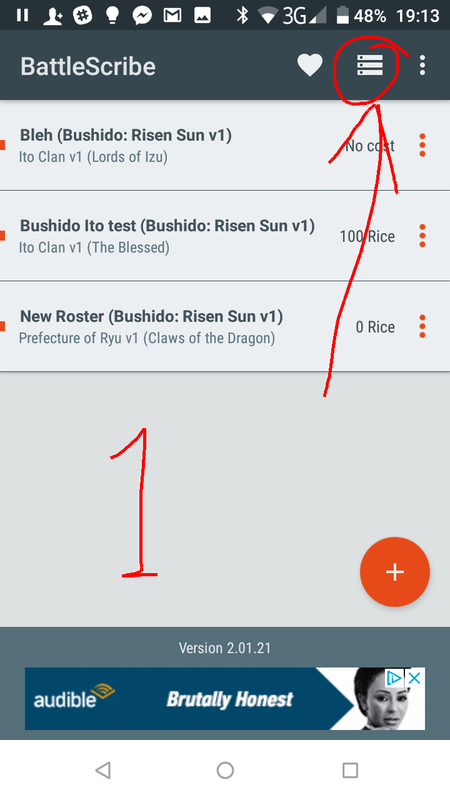 For those who aren't, it is a free app for mobile & desktop which allows you to build army lists for almost any game. 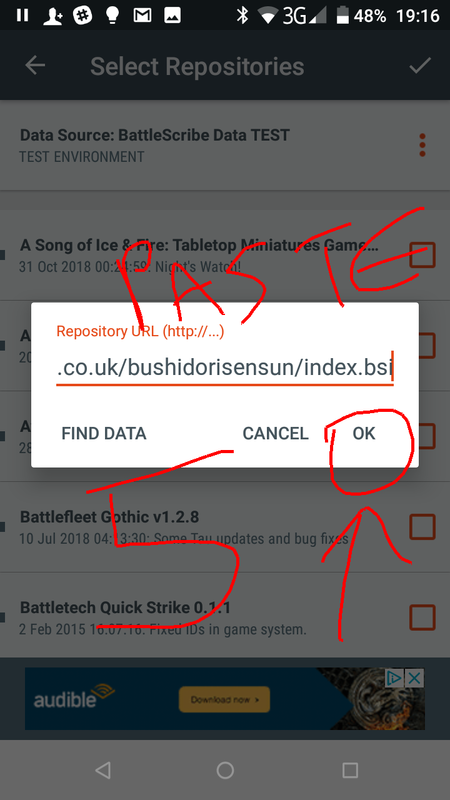 I've been working on some files for Bushido: Risen Sun in my spare time over the last few weeks. Just rice costs, theme restrictions, and validation until the edition is published, at which point the mammoth task of adding rules could begin. Should still be useful for warband-building. It treats the entries as cards. You only add one of each card. If you want two models on a card, you can use the option in the card to add Model B.
I will have made mistakes. The latest PDFs take precendent. Wow. Nice! I am eager to try this. Sir. I tested it for the KKZ for the list I play today. Only the disguise event card was missing the rest was here, for what I tested. Disguise is an Enhancement card. 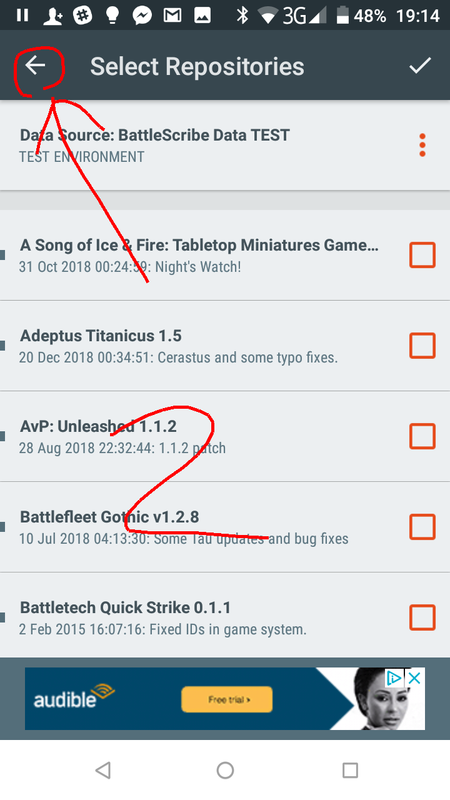 They may have changed the name of the page since I made that guide! Updated this. Let me know what I've screwed up.